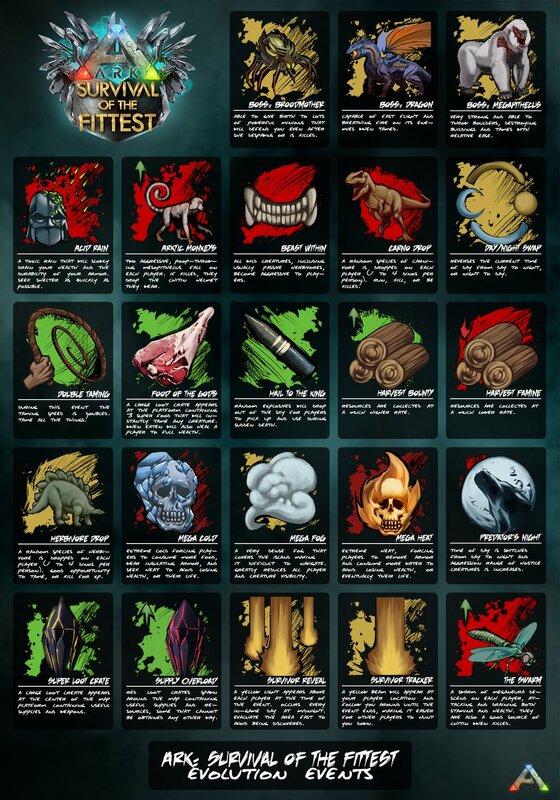 With Survival of the Fittest being released as a free, stand-alone version, a lot of new players appeared. Since SotF contains a lot of special events, indicated by different icons, it can be difficult to understand what it means at first. Therefore Jen has created an infographic, containing all event icons and what each of them indicate. You can find this infographic below. Make sure to learn the icons so you can fully utilize the events to your advantage when they occur (or simply download it, print it and stick it on your wall to keep it as a reference ;)). Good luck in your future SotF games, survivors!